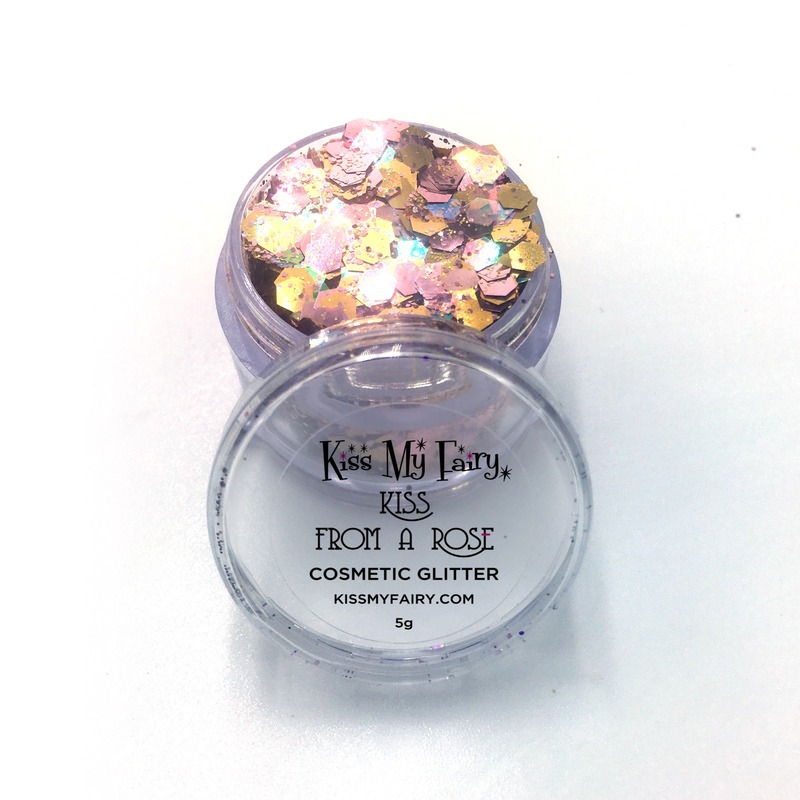 Hi guys, Jodie here from Kiss My Fairy! So the summer has gone, the holiday makers have disappeared and the island of IBIZA has turned eerily quiet……….that is until the caskets open and the shrieks in the night awaken the creatures of darkness for another year of garishly gruesome Halloween parties across the island! 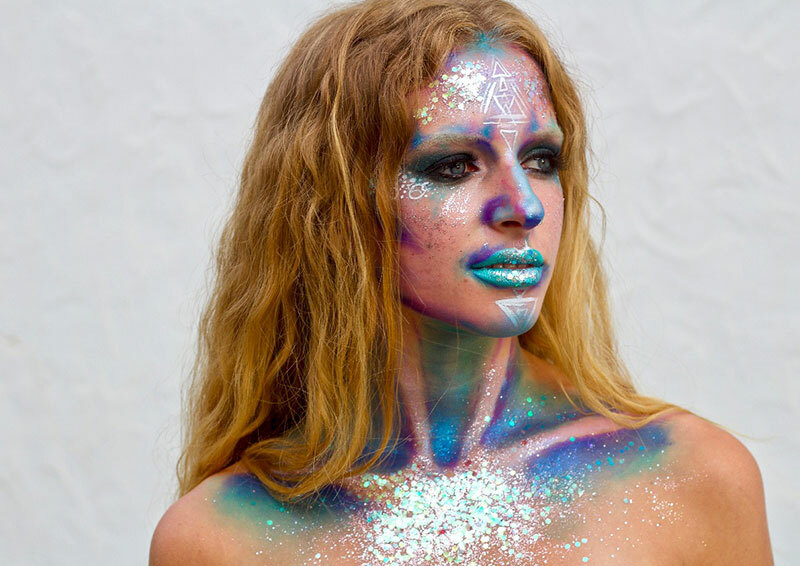 Using our BRAND NEW glitter range ‘Luminous Collection’ as well as a sprinkle of our first collection we have created 3 of the most daring yet different looks to compliment our favourite parties at this time of year on the White Isle! 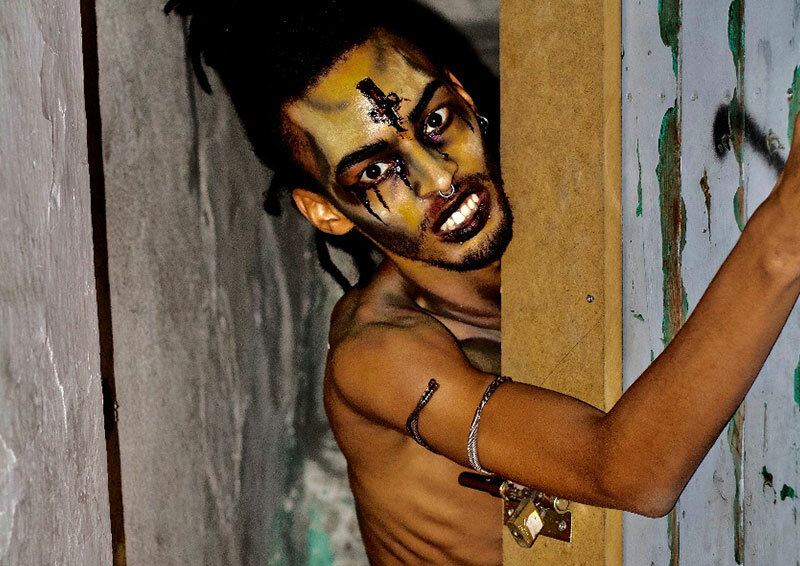 Start your fright night in style at Pikes! Loved by all in Ibiza this venue is quirky, unique and the perfect place to get a little bit freaky! 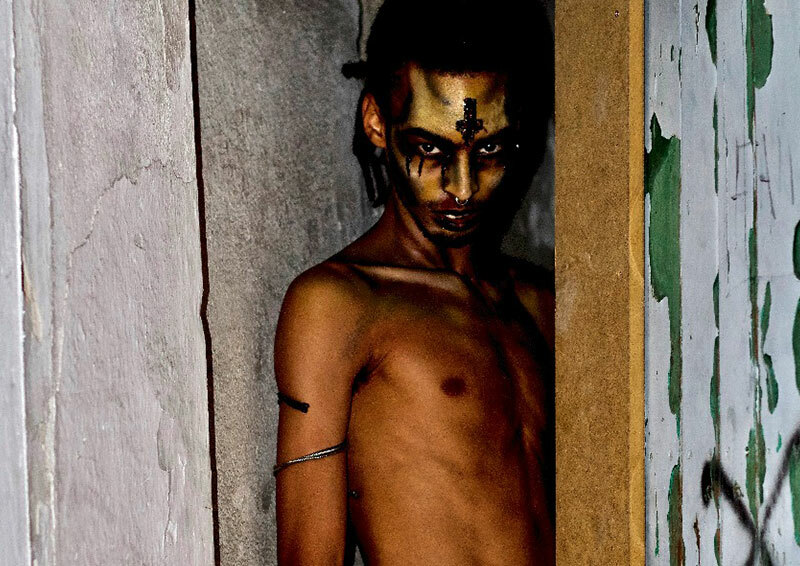 Expect the venue to be devilishly decorated and packed with the trendiest of monsters and ghouls. For an idea of what they’ll have in store for 2018 here’s a glimpse into last years event! 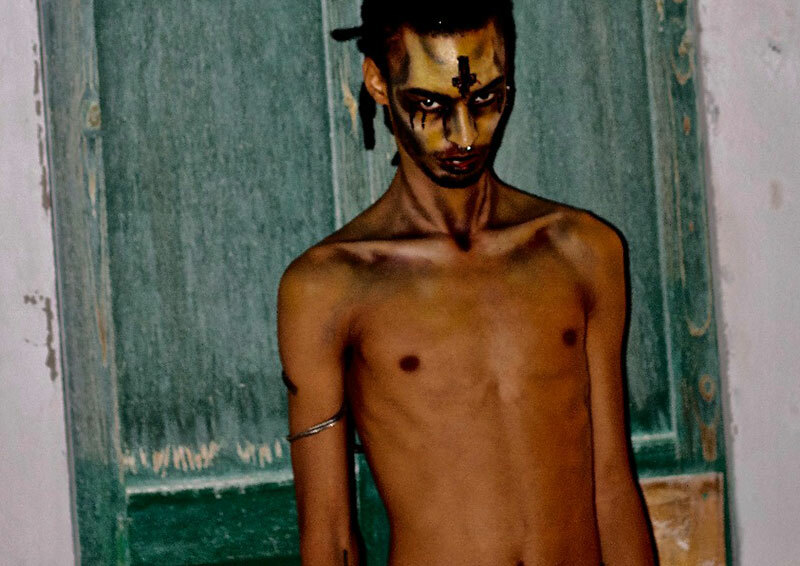 This look is inspired by the spiritual home of rock’n’roll hedonism, famous for it’s dark wood furnishings and nooks and crannies where you can get lost in until dawn! 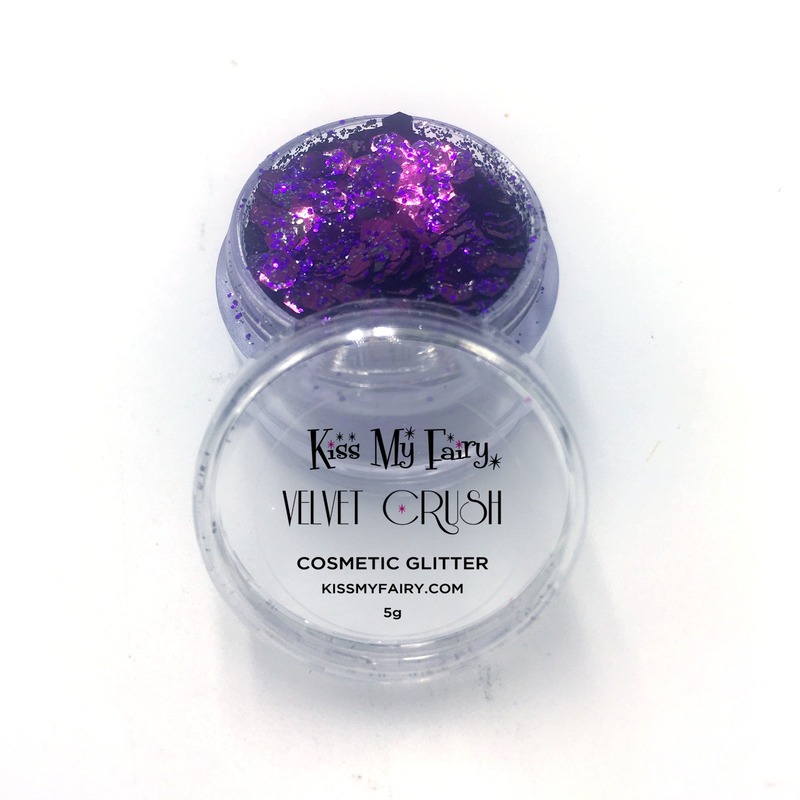 TOP TIP – Mix our Velvet Crush glitter with special effects blood to create deathly tears! 50 years strong, Pacha is one of Ibiza’s oldest clubs so you can definitely expect a great production at this Halloween Ball. Make sure you head to the funky room for some old classics – we’re talking hands in the air ‘Thriller’ style. 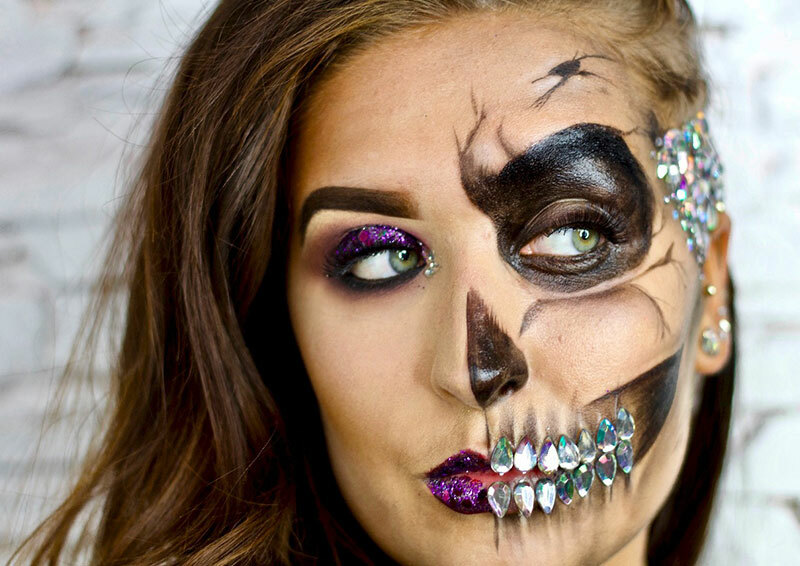 We created this look because we know you ghouls still want to be glam! 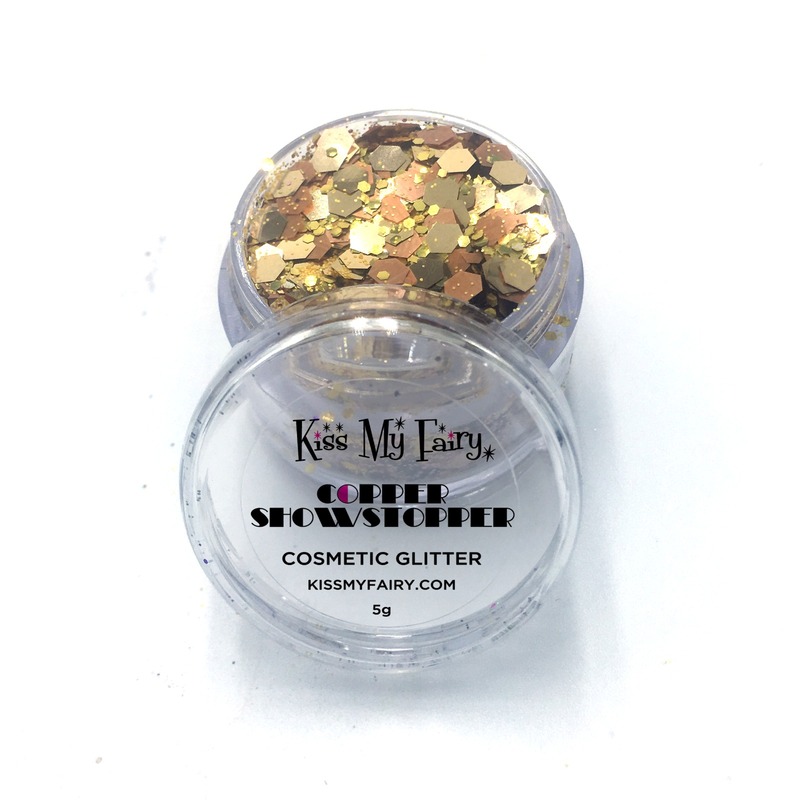 Mixing two of the years hottest trends GLITTER and Jewels we created this look to blend in with Pachas gorgeous crowd! 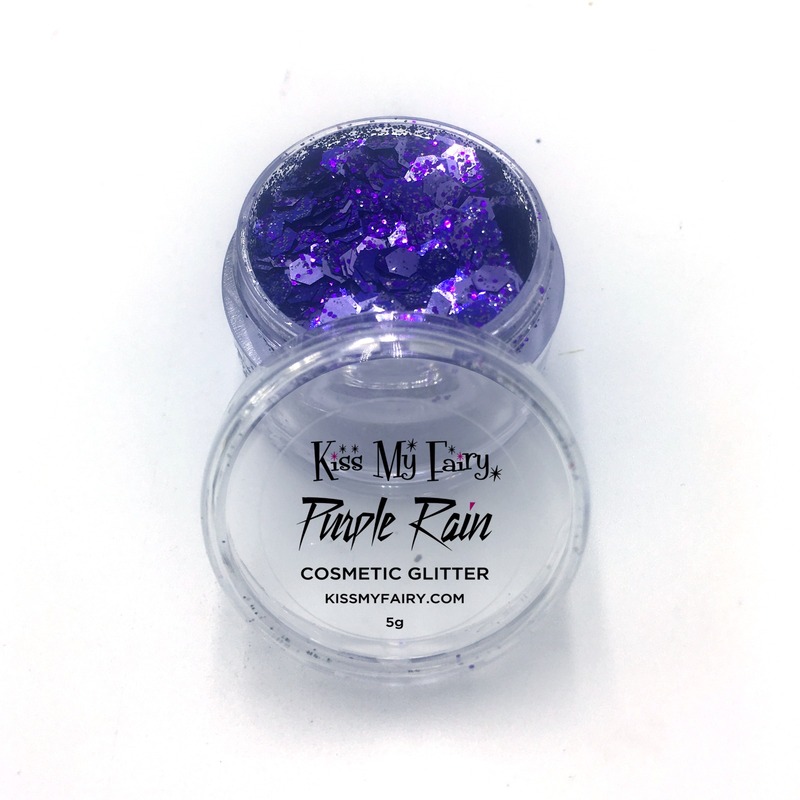 TOP TIP – Use our Purple Rain Glitter over eyelids to make your eye colour pop! If you make it through the night alive hit the beach for the after party of the year at Boutique Hostal, Salinas. This is where the creatures of the night continue being the party animals of the morning! 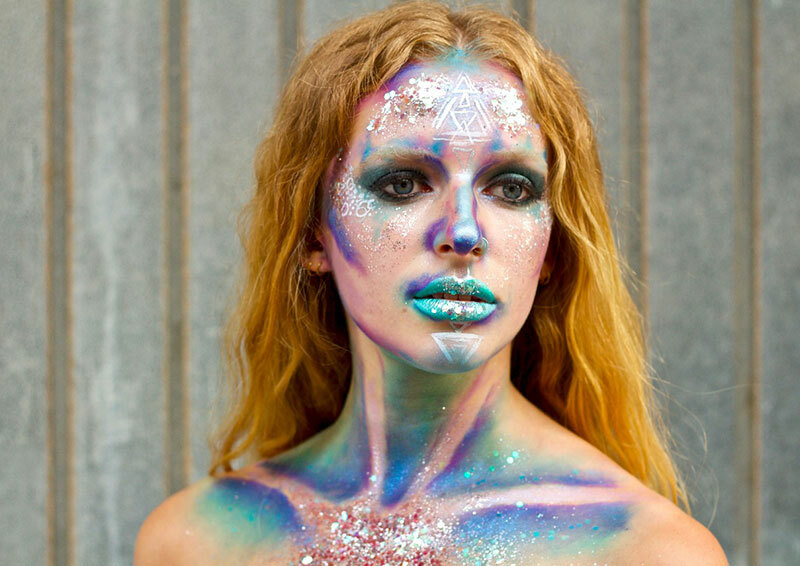 This is our take on a modern day alien, the perfect after party look! 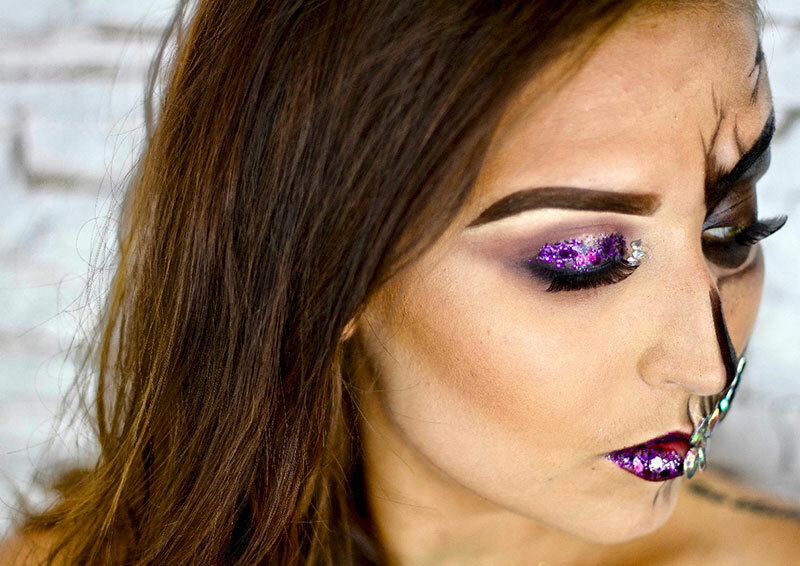 Our Alien was created using our Sassy B!t©h glitter to add multi coloured iridescent tones to the skin and to give an, out of this world look! 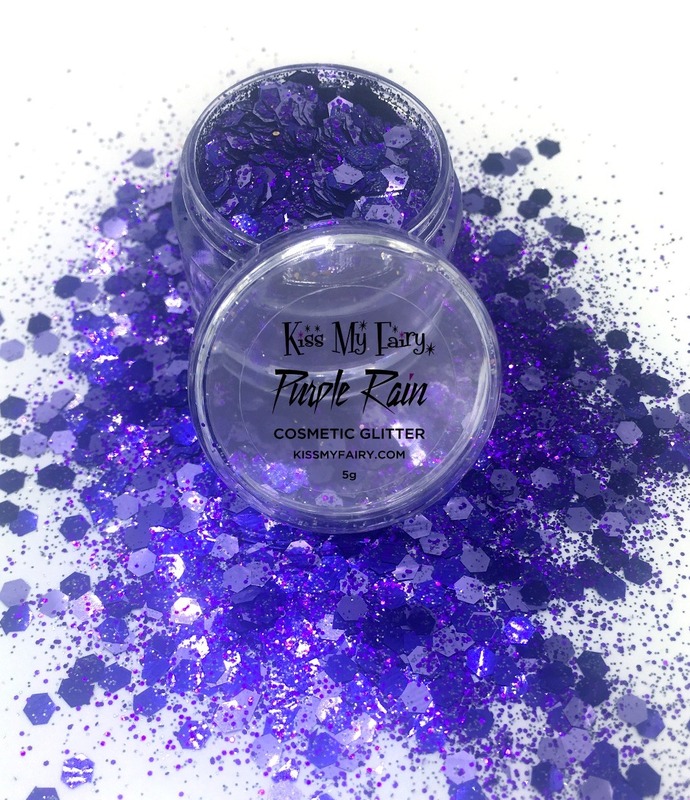 Top Tip – Use our Sassy B!t©h glitter to give an alien like skin tone! If used under a pastel coloured base it will really amplify the iridescent shine. Where ever you end up in IBIZA, its sure to be one HELL OF A PARTY!